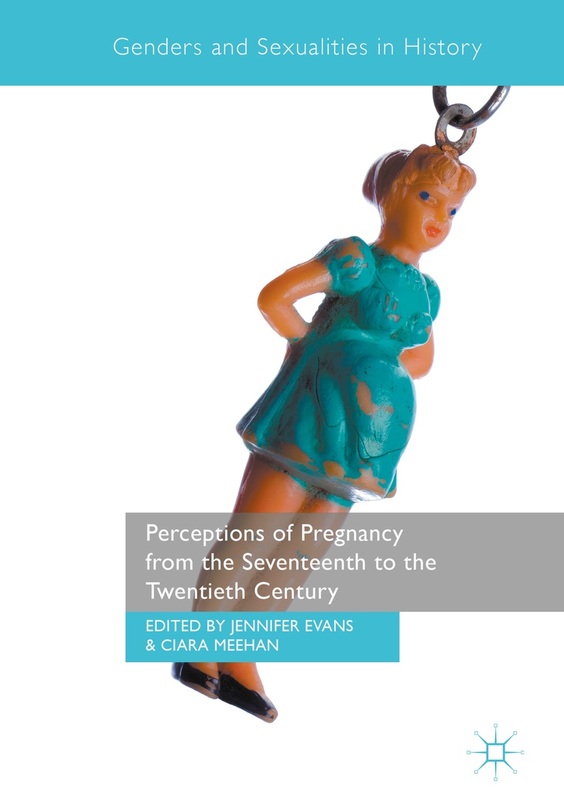 We recently presented a paper at the Institutions and Ireland symposium on Medicine, Health and Welfare in Trinity College Dublin examining contemporary media representations of concealed pregnancy. Using a vignette we drew on the case of Baby Maria who was found by the roadside in Dublin last year to explore the use of language and the images presented. Of course we acknowledge the rights of infants in such situations and the importance of press freedom. However in the presentation we aimed to contrast the perspective of women who have experienced a concealed pregnancy against the prevailing narrative presented by the media. An informal chat with a female garda or social worker on a sofa would have created a completely different image. Many facts remain unknown and Baby Maria may not have been left by her mother but by someone else, yet this was rarely referenced. The urgency of the three appeals emphasised the health needs of the mother and even the Minister for Justice made an appeal. One woman who experienced a concealed pregnancy wondered why it was not the Minister for Health or Minister for Children or indeed a crisis pregnancy counsellor or midwife who made the appeal. It is clear that many assumptions existed in the media as repeated calls for reunification were made. This demonstrates a serious lack of understanding in relation to crisis pregnancy and the difficulties involved. Many headlines were cruel and inconsiderate eg. “bin bag tot”, “dumped baby” and “Come and get your little baby Maria”. We highlighted this insensitive reporting and cautioned against calls for reunification in a letter published in the Irish Times.1 One participant commented “It’s interesting because there was no public comment, no one commented or fed back. Like sometimes in the paper the next morning you see some response but there was nothing, it reached a deathly silence…..there was no response whatsoever to your letter which says it all really”. Our recently published concept analysis of concealed pregnancy2 has identified how fear can impact on the woman and results in the use of avoidant coping strategies. The gardai keep saying that Maria’s mother has nothing to fear by coming forward. THIS IS NOT A CRIMINAL INVESTIGATION, they emphasise … But Maria too is a child of the State, a citizen and a human being. She too deserves that her plight receives the due processes of law. All we know now is that Maria was left, unsheltered from the elements, in a lonely rural laneway. And until we know the circumstances of Maria’s abandonment, the situation in which she was found constitutes a crime. We are concerned about the framing of concealed pregnancy as the narratives seen and heard by the public serve to further stigmatise women in such situations. Below are some comments from one participant who had experienced a concealed pregnancy. well it’s cruel, its insensitive…the right word isn’t ignorance but it just shows a lack of willing to understand, it’s just a sensational news story. And that’s wrong, its wrong and it, it just shows how disconnected the media is from humanity. That they just make this into a story but without understanding the effect on anybody. It’s wrong, actually what they do is wrong. And they made us feel even greater sinners …You know we feel bad as it is, we feel bad enough. All I can say is I can only imagine that lady because I don’t know… but she’s going to punish herself for the rest of her life. And we don’t need big brother police media using their power, they are saying they are being kind and they are appealing but they are not. It’s like a piece of gossip. Limited discussions and the use of emotive images and language dealing with a complex phenomenon may explain why women who have concealed a pregnancy remain silent. The dominant message was one of panic and calls for reunification of mother and infant. We conclude that the overwhelming majority of the reporting portrays women as victims, criminals or as having a mental illness. Contemporary media reports which involve cases of Concealed Pregnancy tend to focus on the outcomes, frequently do not examine all the facts to the exclusion of the needs of the woman concerned 3. It is hard to believe that such sensationalist headlines can be printed considering Ireland’s legacy of concealed pregnancies. The images used in reports of concealed pregnancy must be carefully considered. Sensationalist, cruel and inconsiderate language hurts women who have experienced concealed pregnancy irrespective of the outcome. Women who have experienced a concealed pregnancy must not be subjected to such ill-informed journalism again. There is an urgent need for ethical press guidelines involving concealed pregnancy. Women who have experienced a concealed pregnancy describe it as having “ripples that last a lifetime”. It is high time that the media engage in ethical, factual, appropriate and sensitive reporting when dealing with concealed pregnancy. As a Commission of Inquiry into Mother and Baby Homes and related matters is underway in Ireland it is vital that we learn from history as women in the past were forced to conceal pregnancies. It is critical that the media do not sentence women of today to silence and secrecy. Sylvia Murphy Tighe is a HRB Research Fellow/Doctoral Midwifery Student, School of Nursing & Midwifery, Trinity College Dublin, D’Olier St, Dublin 2. Sylvia has previously written for the Perceptions of Pregnancy blog about concealed pregnancy and newborn abandonment. You can read that post here. Professor Joan Lalor is Associate Professor of Midwifery, School of Nursing & Midwifery, Trinity College Dublin, D’Olier St, Dublin 2. This entry was posted in Blog Posts, Past Posts and tagged concealed pregnancy. Bookmark the permalink.